Hannah Skoonberg › Printmaking Notebooks! Ok so I have just listed my first set of notebooks with printed covers. They are cute, portable and only $15. I have only printed 5 so far but I can make more if these sell. Lovingly made with poor college friends in mind. Honestly I am pretty excited about printing notebooks like this. I mean I would want one! Any ideas for the next set? This was written by Hannah. Posted on Monday, July 6, 2009, at 1:43 PM. Filed under Art. Bookmark the permalink. Follow comments here with the RSS feed. Post a comment or leave a trackback. 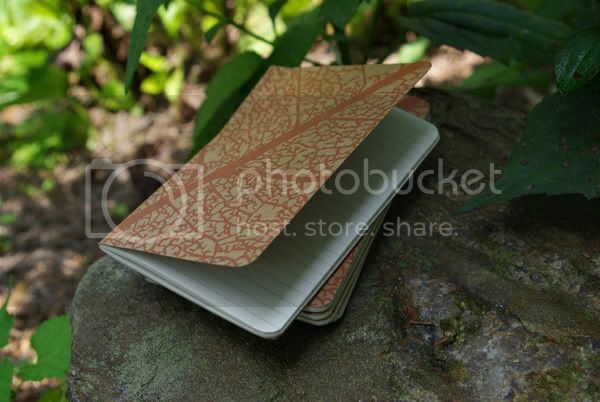 I am a non-printmaker interested in buying bulk notebooks for my printmaker friend to print on to sell as band merch. I’ve been searching high and low on the interwebs this morning looking to purchase notebooks JUST like the one you posted, and I just can’t seem to find totally blank ones anywhere. I hope you’re not offended – I’m just on the hunt for info – would you mind telling me where you bought these so I can look at prices? On another note,I think your art is amazing. The trees in the snow w/the shadows is my favorite. Very good!